Global business strategist Margaret Spence joins HR Break Room to discuss how organizations can change their approach to empowering women in their workforce. According to the Korn Ferry Institute, women make up 24% of C-suite positions, but only 12% had long-term aspirations to lead the organization as CEO. With leadership development initiatives increasing their emphasis on more diverse and inclusive workplace cultures, how can organizations ensure their program meets the needs of today’s female top performers? Learn more about how to find top-performing women in your organization by downloading our 4 Steps to Finding and Fostering Super Talent infographic. 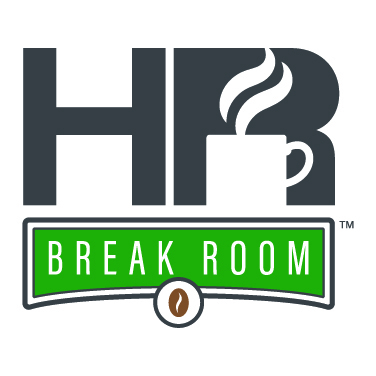 HR Break Room is a podcast from your friends working in human resources, dedicated to bringing you interesting break room conversations with experts on the hot topics of HR and HR Technology, one cup of coffee at a time. Hosted by Caleb Masters and Chelsea Justice, HR Break Room is designed to inspire you to harness the power of HR technology to empower your people and organization. Peter Cappelli, the George W. Taylor professor of management and director of the Center for Human Resources at The Wharton School, joins HR Break Room to discuss 2019 hiring and onboarding trends. Kris Dunn, Kinetix CHRO and founder of the Fistful of Talent blog, returns to HR Break Room to discuss what organizations can learn about the importance of recruiting from diverse pools of talent from one of sports’ greatest spectacles. Caleb Masters is the host and producer of the HR Break Room podcast and Paycom webinars. With more than five years of experience as a published writer and content producer, he has produced dozens of podcasts and videos for multiple industries, both local and online. Masters continues to assist organizations creatively communicate their ideas and messages through researched talks, blog posts and new media. Outside of work, he enjoys running, discussing movies and trying new local restaurants. Chelsea is co-host of The HR Break Room and Paycom’s communications coordinator. During her more than seven years in marketing, corporate training and communications, she has created hundreds of magazines, training guides, videos and webinars for multiple industries. In her free time, Chelsea is planning her next travel adventure, perfecting her most recent baking recipe, devouring a good book and, above all, spending time with family. Listen to every episode of The HR Break Room by subscribing via your smartphone or computer on iTunes, Stitcher, Google Play, or PodBean. By subscribing, you are not only supporting the HR Break Room, but also guaranteeing each new episode will be available to you early on your preferred device. PAYCOM DOES NOT WARRANT THE COMPLETENESS OR ACCURACY OF THE ABOVE INFORMATION. The information does not constitute the provision of legal advice, tax advice, accounting services, or professional consulting of any kind, and it should not be used as a substitute for such. Product or company names mentioned herein may be the trademarks of their respective owners. This media is protected by copyright law. Paycom is not responsible for any liabilities that may arise out of the reproduction or distribution of the information herein. © 2017, Paycom. All rights reserved. For HR Break Room Sweepstakes Official Rules click here.